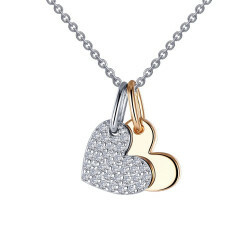 Adorn your wardrobe with this fun and playful two-tone heart shadow charm pendant set. One of the hearts is set with Lafonn's signature Lassaire simulated diamonds in sterling silver bonded with platinum. 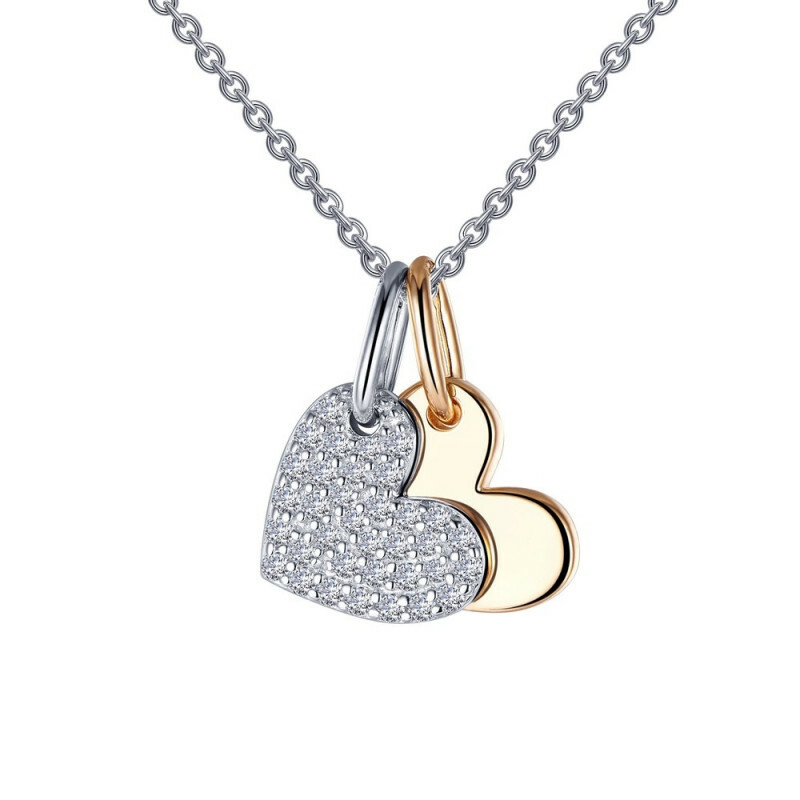 The shadow heart is in gold-plated sterling silver. This pendant set comes on an adjustable 20" chain.